 Severe Radiation Oncologist Shortage Forecast - ONRAD, Inc.
HealthLeadersMedia.com | October 20 -Demand for radiation oncologists in the U.S will outpace the supply 10-fold in the next decade a report published in this week’s edition of theThe Journal of Clinical Oncology says. The number of full-time equivalent radiation oncologists entering the workforce is expected to increase by just 2% in the next 10 years but the numbers of patients diagnosed with cancers that require radiation therapy will increase by 22%, according to the report by Benjamin Smith MD, and colleagues in the Department of Radiation Oncology at MD Anderson in Houston. Demand among adults age 65 or older, who have higher rates of cancer diagnosis, are expected to increase 38% in 10 years, and for minorities diagnosed with cancer, demand will increase by 45%, the report said.